DR Tiling can provide and install your property with the right underfloor heating system to cater for your needs and comfort. Underfloor heating is ideal if you do not want the clutter of unsightly radiators on the walls as it is hidden and totally out of view. It is maintenance free and an efficient way to warm up your home. The are many options available so please contact us for more information and advice on which underfloor heating system is ideal for you. There are two kinds of underfloor heating. A dry system which uses electric coils or a wet system which pumps warm water through a maze of pipes under the floor. It is the based on the oldest form of central heating which the Romans used to heat baths and buildings which which conforms to the basic principle that heat rises and therefore radiating warmth throughout the room. 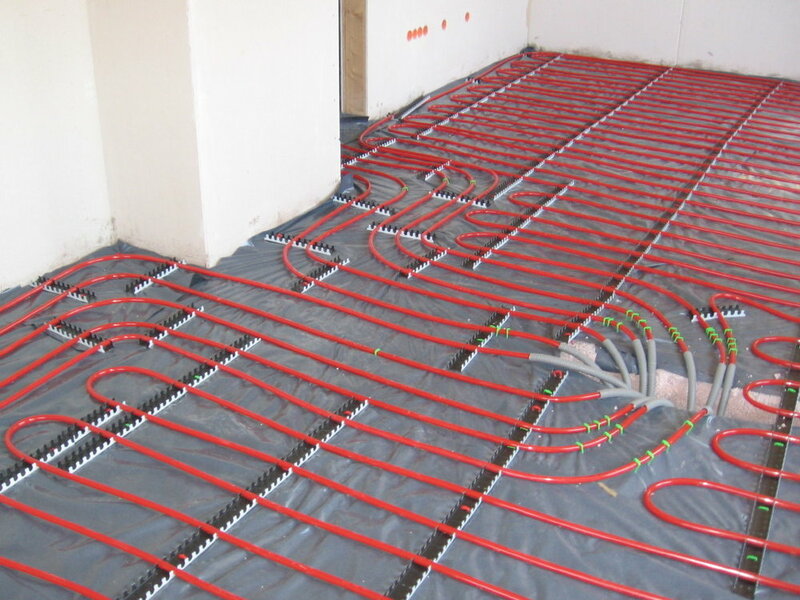 Underfloor heating can be installed in solid or suspended floors and provides an easy controllable and even temperature all round a room. It offers more comfort at a lower temperature and can be more economical to run than a normal conventional heating system. The wet system is ideal for use with modern condensing boilers using low temperature hot water. 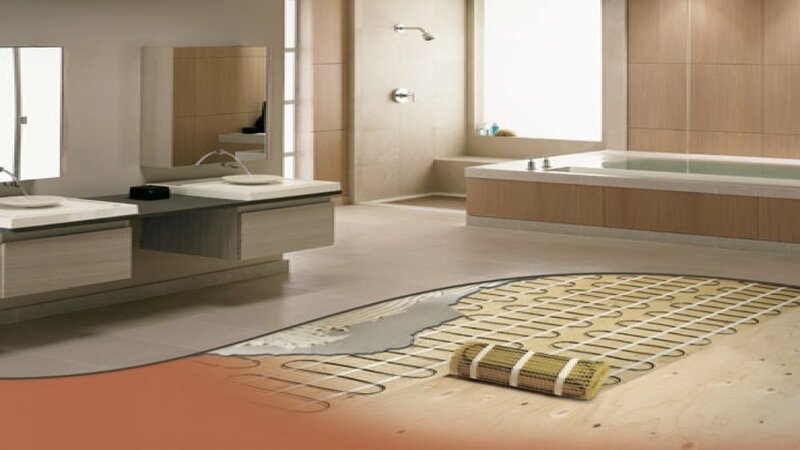 There are many advantages for installing Underfloor heating. It provides room-by-room temperature control and is generally more economical to use leaving you with lower fuel bills. A normal or conventional heating system uses radiators which have to work harder for you to feel the effects of the warmth. They heat up the area immediately around them and then the heat is quickly dispersed upwards. Radiators therefore require a higher temperature to be more effective within the room its warming. Underfloor heating works at a lower temperature and can be installed in just one room if you wish. 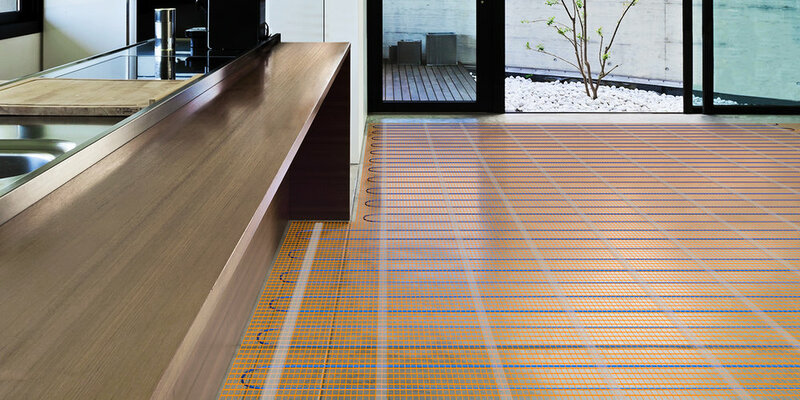 Which Underfloor Heating System Is Right For My Home? The are many products available on the market so it is advisable to contact DR Tiling to discuss which system can be installed in your property to provide you with the desired comfort. Many factors must be taken into consideration such as the type of building you have, your current central heating system and the number of rooms you wish to use for underfloor heating.